Use Excel spreadsheets as a data source – How can we help you today? Data Connector Use wizard to select files from computer. Important The Financial and Scientific formats are not supported by Klipfolio. If these formats are used, remove the formatting from your Excel file prior to upload. Excel software features such as workbook links are not supported. Data will not upload into Klipfolio if the spreadsheet tab (or workbook) name has a space at the end. Remove any spaces from the end of tab names in your spreadsheet. Select a file using the explorer window. If the spreadsheet has multiple sheets associated with it, you can select a specific sheet in the Klip Editor. If there is a space at the end of a spreadsheet name, it will not upload into Klipfolio. 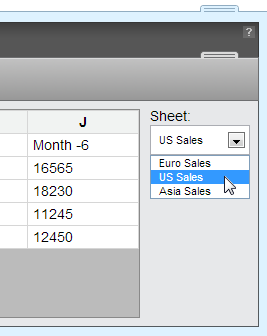 Once you have successfully connected your spreadsheet with Klipfolio, do not change the sheet name. This way, the data will refresh.